The UK is at a pivotal moment for investing in the future of its energy system. Two thirds of its power stations – mostly old coal, nuclear and gas-powered stations – are expected to close by 2030, increasing the risk of ‘brownouts’ and ‘blackouts’ in future. A recent survey by the MEUC found that nine out of 10 UK businesses are worried about the security of their energy supply. From businesses to households, our large and small energy consumers urgently need reassurance that our energy system is not only able to cater to growing demand, but is also ready for future challenges. Our energy infrastructure was designed for a post-war world whose power sources were dominated by fossil fuel generators. It is linear, centralised and designed for passive, one-way distribution. Its static nature makes it unable to cater to overlapping demand: energy generation and pricing skyrocket during peaks in demand, stretching the system to its limit. Then as demand drops, or when renewable energy surges through the system, much of that electricity is wasted. It’s clear we need to move beyond this wasteful, cumbersome system, and thanks to internet-enabled technologies, we can do so. Both the National Infrastructure Commission and Ofgem say that more flexible patterns of demand would reduce energy waste, make the system cheaper and more carbon efficient to run, and lowering consumers’ bills. Businesses now have a unique opportunity to move away from polluting energy sources to help the UK achieve its carbon reduction targets, whilst being rewarded with new revenues at the same time. The potential for demand response is huge: according to the National Infrastructure Commission’s Smart Power report, if just 5% of current peak electricity demand is met by demand-side response, our energy system would be £200m/year cheaper to run, and end-users could benefit by up to £790m. This is the inspiration behind the Living Grid, a movement led by forward-thinking organisations and convened by Forum for the Future, to create a new approach to our energy system that is interactive, self-balancing and adaptive rather than linear and clumsy. This will not only help the grid cater better to peaks and troughs in demand and supply, but also enable it to make full use of renewable energy sources. In the first phase, using smart technology provided by founding technology partner Open Energi, businesses’ appliances are upgraded to become part of an intelligent network that helps to balance supply and demand on the grid in real-time. Making tiny, second-by-second adjustments to their electricity use, they help to free up power at peak times or consume more when there’s energy surplus, benefitting the system as a whole. By playing an active role in balancing supply and demand, pioneers of the Living Grid are rewarded by the National Grid’s Firm Frequency Response Market with additional revenue that they can reinvest in more energy efficiency measures. To date, supermarket brand Sainsbury’s, building materials manufacturers Aggregate Industries and Tarmac, and water company United Utilities are part of the Living Grid’s network. Together, they are projected to free up 39MW of energy capacity by 2020, equating to almost 90,000 tonnes of carbon savings for the UK. Sainsbury’s is the first supermarket to use Open Energi’s intelligent demand response technology on over 2,300 pieces of HVAC equipment at 200 stores. Sainsbury’s is now trialling refrigeration, and by 2020 it expects to free up 14MW of flexible power for National Grid, creating 31,865 tonnes of carbon savings per year. 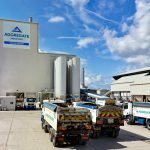 Over the past 3 years, Aggregate Industries has connected its bitumen tanks and pumps at over forty asphalt plants and quarry sites UK-wide. Likewise, Tarmac is rolling out the technology to 70 Asphalt plants and over 200 bitumen tanks at sites across the UK. United Utilities was the first water company in the country to implement Open Energi’s intelligent demand response technology. 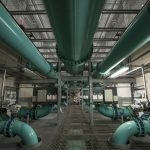 It has now connected equipment at over 10 of its larger wastewater treatment plants, and aims to activate more sludge plants and evaluate new processes that would work well with the technology. By 2020 it expects to earn up to £5m from Demand Response. Not only will participating organisations become more resilient to future energy challenges, they will also demonstrate climate change leadership by unlocking massive carbon savings for the UK. With assets upgraded to automatically and invisibly manage energy consumption, they are at the forefront of opportunities to earn revenue and save energy through the use of new technologies. The Living Grid needs more pioneering organisations and technology partners to grow and scale up the transformation of the energy system. It aims to recruit 20 organisations by 2020 to free up 200MW of energy capacity. Through businesses acting together, it will show how demand-side management can make our system ready for the large-scale use of renewable energy. It’s the first time a working partnership has been created by leading businesses to help modernise and relieve the pressure on the UK’s electricity system. Businesses have never aspired to transform our energy system so profoundly before. By working together to change how they use electricity, by making this visible to the world and by encouraging others to do the same, they can showcase the potential of demand-side management to reshape our energy system and catalyse change.